Product information "Ukiyo-e Silk Pocket Square - Yuki No Hi - Handrolled - 40 x 40cm"
Printed exclusively for us in the historical heart of the British silk industry, Macclesfield. These pocket squares combine our love for Japanese culture and art with our passion for classic menswear. Carefully hand-selected historical prints chosen for their beauty as art as well as for their compatibility as an accessory. We pay special attention to how the square can be worn; often, totally different looks are possible by showing only certain colors of the square. 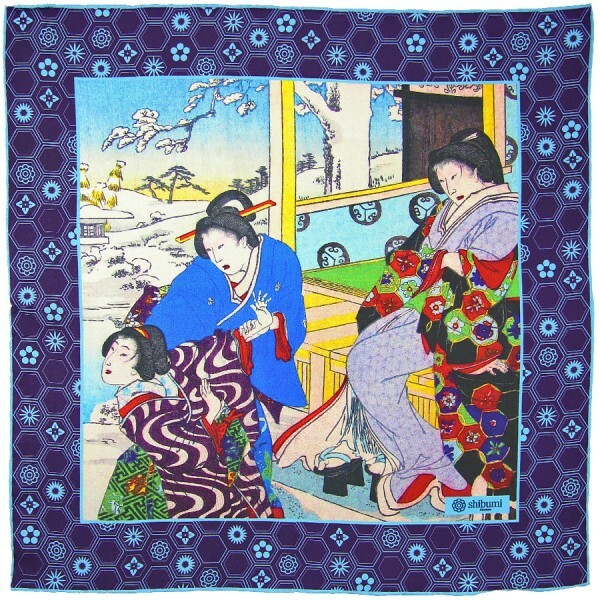 Related links to "Ukiyo-e Silk Pocket Square - Yuki No Hi - Handrolled - 40 x 40cm"